We all need water, fats, carbohydrates, vitamins and minerals to live. Minerals are important for two main reasons: On the one hand, they act as building blocks; and on the other hand, they perform vital tasks in our bodies, including metabolic processes. Without minerals, nothing in your body would work in the long run. Mineral deficiencies can have fatal consequences. While the body can make up for short-term mineral deficiencies, long-term deficiencies can cause medical conditions. Women know how important iron is for the body, as many women suffer from an iron deficiency. The initial symptoms are pale skin, a subdued mood and fatigue, and this can be exacerbated by concentration problems, headaches, muscle cramps and iron deficiency anaemia. A lack of iodine affects the thyroid. The symptoms of iodine deficiency are very diverse, ranging from a feeling of tightness to fatigue, decreased performance and increased susceptibility to infection. At worst, it may cause hypothyroidism. And this also applies to other minerals. Your body always needs minerals to maintain all its functions. Aronia berries and products are a very rich source of minerals, especially iron, zinc, iodine, potassium and calcium. 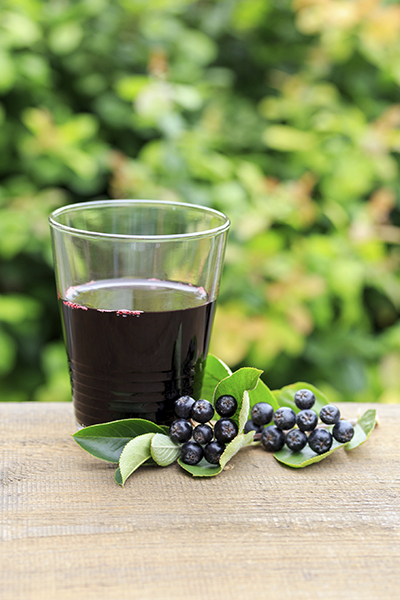 The minerals contained in the aronia berry are found in a healthy ratio. Potassium is essential for the preservation of life, and aronia berries contain a very high amount of this mineral (218 mg / 100 g). Iron is vital for our metabolism. 100 g of aronia contain 0.93 mg of iron. Iodine regulates metabolic processes and stimulates circulation. Aronia contains 0.0064 mg of iodine per 100 g.
Calcium is the most important mineral in the human body in terms of its quantity, ensuring healthy teeth, bones and muscles. The calcium content is 121 mg / 100 g.
Many people find it difficult to get their recommended daily allowance of minerals. You can really improve your diet with by following an aronia cure for four to twelve weeks. 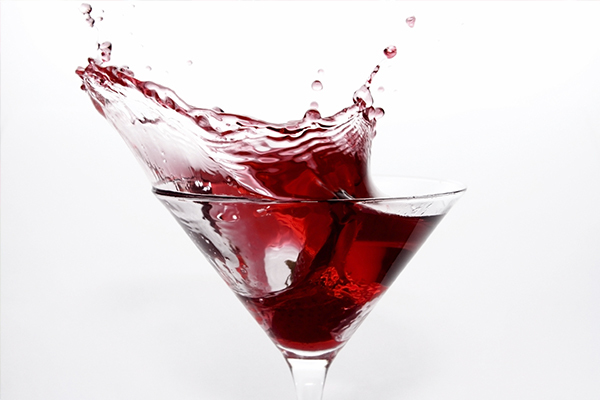 100 ml of juice a day is usually enough to replenish your body’s stores. And isn’t it great to know you can get a large amount of vitamins and minerals from just one glass of juice?